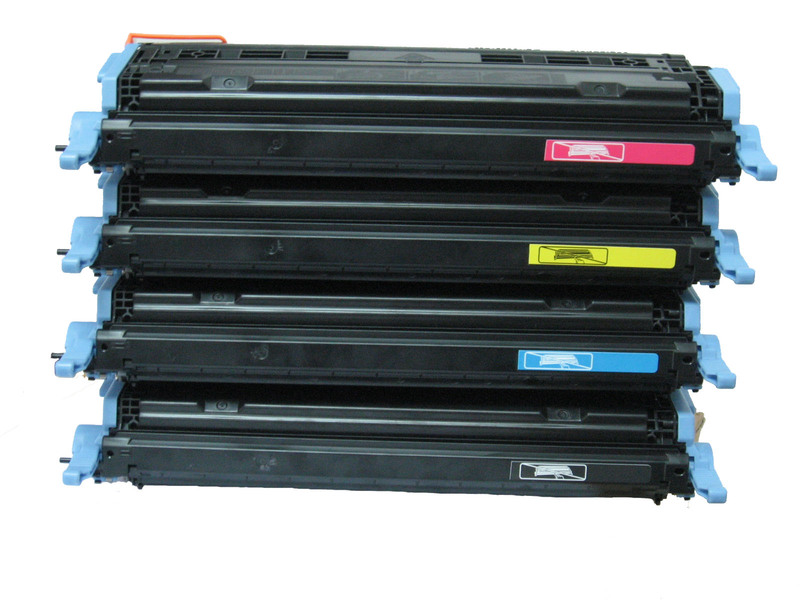 Because these rebuilt toner cartridges are made up of 40-75% of recycled materials, the end user price is considerably lower than a brand new product. When a toner cartridge is empty, rather than wasting its reusable parts by throwing it in the trash, using a recycling program allows them to be remanufactured, ultimately saving the consumer’s money, and reducing the impact on the environment. It is estimated that recycling toner cartridges could save as much as 400 million cubic feet of landfill space each year. When an empty cartridge comes in, it is carefully inspected for any damage. Overused, scratched or dented materials will be sorted out. Even when a cartridge has been used to the point of no return, certain parts within it can still be used in the printing process. Those components are removed and prepped to be installed in another cartridge. Parts that cannot be reused are properly recycled. Specialized tools are often needed to open the empty cartridge without causing damage. This is one of the most difficult steps for a consumer to replicate, and can often cause damage to the cartridge if done incorrectly. Once the cartridge is properly opened, it is cleaned of any residue or dirt that has built up. The cartridge is then refilled with new toner powder. Each cartridge is filled until a specific weight is reached, to ensure that it provides the same amount of prints as the OEM version, or in some cases, even more. The cartridge is then sealed tightly so no toner can leak out. Many new parts may be added during assembly, including the OPC drum, PCR, roller, and wiper blade. For those cartridges that use chips for verification, the chips are replaced to ensure compatibility. This is one of the benefits that refilling alone does not provide, as parts that have been worn out get replaced, to ensure a more reliable cartridge. When the assembly is finished, extensive testing for quality control ensures these cartridges produce the same results as a brand new product. This is another aspect that may be difficult to replicate by an end user, but it is important in guaranteeing that the cartridge is functioning properly. Once the cartridge has been tested, it is packaged and ready to ship to customers. While refilling a printer toner cartridge might seem like a way to save even more money, the cost savings for remanufactured cartridges compared to more expensive OEM versions is generally already dramatic. For example, OEM black cartridges for a popular model like the HP LaserJet 2600 are over 3 times more expensive than the remanufactured equivalent. Refilling it might seem like an opportunity to trim a little more off the price, but it is not worth the extra risk that something could go wrong and in the long run will cost you much more. With a remanufactured cartridge, you get the peace of mind of knowing each part was inspected, and that the process was handled by workers with experience, without paying the high price of OEM cartridges.